P&O Cruises has set their largest ever world cruise program for 2013. This video explains the concept. 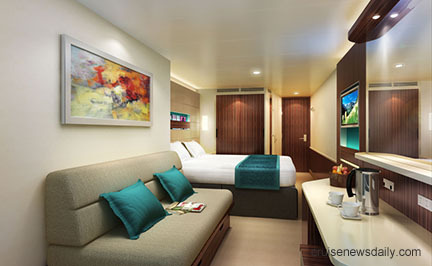 Each of the four ships sailing world itineraries opens for sale on July 14, 2011. 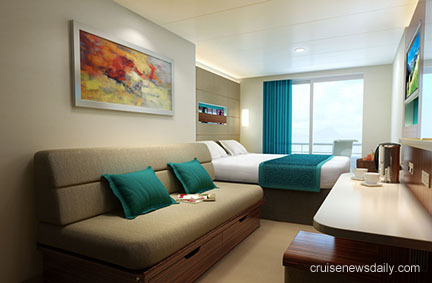 Norwegian Cruise Line today released the first design elements of their new class of ship, codenamed Project Breakaway. 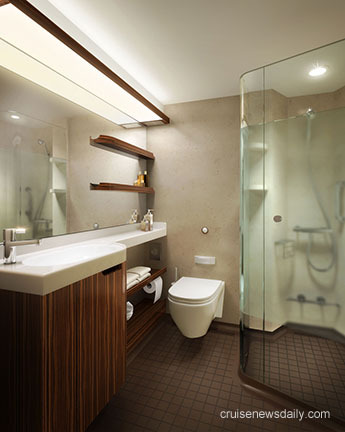 They are some of the premium cabin types, the balcony staterooms and mini-suites. 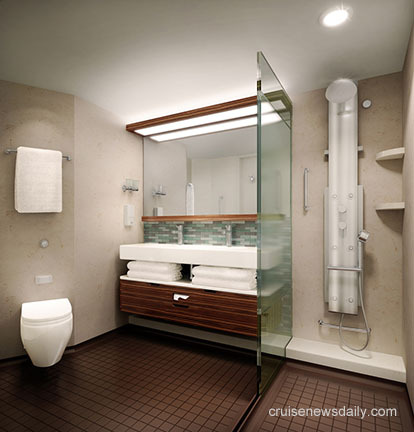 Unlike the "New Wave" staterooms on Norwegian Epic, these will have "fully enclosed bathrooms" in the cabins. The cutting of the first steel is the beginning of construction of a cruise ship. In this video, Meyer Werft cuts the first steel for Celebrity Reflection, the fifth Solstice Class ship. Celebrity Reflection will be slightly wider and taller than her sisters with new features on the top deck and a deck of new staterooms types. Delivery is scheduled for the fall of 2012. 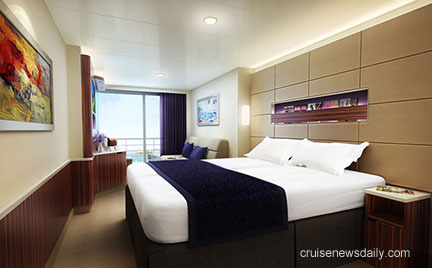 Royal Caribbean's Radiance of the Seas recently completed a 21-day drydock. During the time out of service, numerous new dining options were added, and some old favorites morphed into new ones. This video gives a brief overview as Lisa Bauer, RCI's SVP of Hotel Operations, and other executives, give you a tour. In this video, Seabourn executives give you a tour of their latest vessel, Seabourn Quest, which enters service tomorrow. 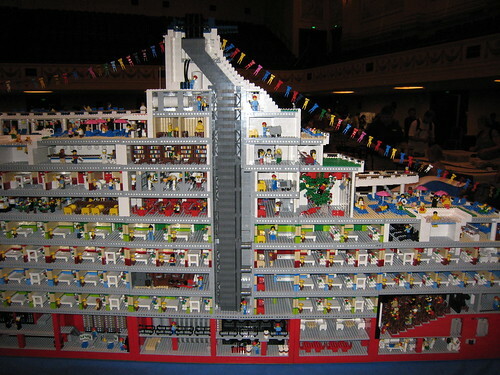 Professional LEGO builder Ryan McNaught built a 250,000-brick model of the original Love Boat, Pacific Princess, complete with Captain Stubing piloting his noble ship. 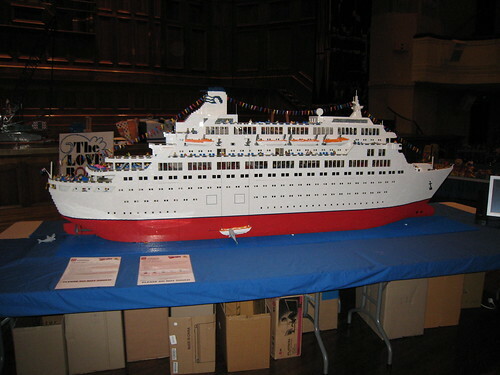 He currently has it on display at the Brickworld LEGO convention in Chicago, and was surprised when the real Captain Stubing, Gavin MacLeod, and Princess executives dropped by to see his masterpiece. 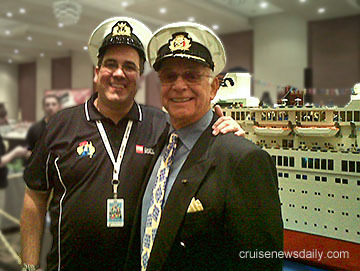 In the video, Gavin MacLeod is really impressed by the model. McNaught is just as impressed the Princess brought MacLeod all the way to Chicago to see it, so Gavin autographs the model for him, now making it truly one of a kind. 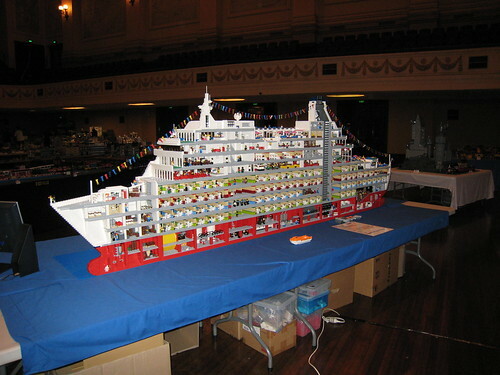 Below are some photos of McNaught's model, embedded from his Flickr photostream. You can see all the photos on Flickr. This link will take you to the first image, and click the "older" button in the upper right corner of your screen for more.